The procedure for egg donation is considerably more complicated than for sperm donation. Part of this is because eggs cannot yet be effectively frozen. Therefore, the donor and the recipient must have their hormonal cycles adjusted so they coincide with one another. That way, eggs can be removed from the donor and implanted into the intended mother within a few days of each other. Egg donation is also more complicated than sperm donation because eggs are considerably more difficult to obtain. Whereas sperm can be easily obtained from ejaculate on any given day, ovaries must be hormonally stimulated to induce ovulation and then an egg retrieval procedure must be done to harvest the eggs. Both women must undergo hormonal preparation to synchronize their cycles. 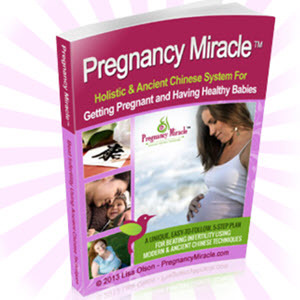 Fertility medicines are used to stimulate ovulation in the donor. The recipient must also take fertility medicines to prepare her uterine lining to receive and hopefully implant the transferred embryos. Your fertility doctor will explain the exact medications, their timing, and the necessary protocol requirements. The goal is to hormonally prepare the donor for egg production and retrieval and to prepare your uterus to receive the embryos that will be transferred. Ultrasound and blood tests may be performed to ensure that both the donor and recipient are properly prepared and ready to proceed. The embryos are transferred into the recipient's uterus within a few days after fertilization in the laboratory. The technique used for embryo transfer is the same as for IVF, where a special catheter and syringe are passed through the cervix and the embryos are inserted into the uterus. Hormones are given to help the embryos implant, grow, and develop. Pregnancy tests and ultrasound are performed within a couple of weeks to confirm pregnancy.